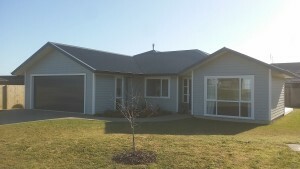 Another Gold Award Winning Home by Tauranga Painters Authentic Finishing’s Ltd.
Quality painters in Tauranga are few and hard to come by. A show home built at The Lakes subdivision by Navigation Homes in Tauranga has won Gold for the 2015 Master Builder House of the Year and also won Master Builder House of the Year Local Category Winner 2015. Simon the manager of Navigation Homes in the Bay Of Plenty has an eye for top quality and only sources the finest trade’s people in the Tauranga to construct these high quality built homes. This is as why only the best decorative paint finish will do and employees Award Winning Master Painters in Tauranga Authentic Finishing’s Ltd to conduct in all their construction work. Tauranga Painters Authentic Finishing’s Ltd has in the past done multiple Gold Winning Master Builder House of the Year winners along with these show homes following up to produce Nation Wide franchise home of the year. Be sure to check out Simon at Navigation Homes if you are serious about only having the best in the Bay for your next building project and you also will have another high quality finished home by Tauranga Painters Authentic Finishing’s Ltd.